New UNFPA study conducted by IMC sheds light on sexual and reproductive health and rights and gender-based violence prevention and response among young persons with disabilities. This ground-breaking study, which IMC conducted for the United Nations Population Fund (UNFPA), is the culmination of nearly two years of research into the barriers faced by young persons with disabilities in realising their sexual and reproductive health and rights (SRHR), and responding to and preventing gender-based violence (GBV). It also highlights good practices which have emerged in these areas. The study is part of the UNFPA-funded WE DECIDE programme, which aims to strengthen participation of young persons with disabilities on the issues and policies that affect them, with a sharp focus on SRHR and GBV. The eight panellists of the launch event, which was hosted by the government of Spain and UNFPA, comprised disability rights activists and advocates, technical experts, and government officials, including UNFPA’s Executive Director, Dr. Natalia Kanem, and Spain’s Prime Minister Pedro Sánchez. The panel was moderated by Ana Peláez Narváez, the first woman with a disability ever to be elected as a member of the UN Committee on Elimination of Discrimination against Women. Young persons with disabilities should have a say in matters that affect them. Their involvement in decision-making is crucial to understanding the issues they face and developing new laws, policies, and programmes at international and national levels. 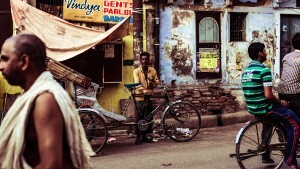 Their participation is also key at more local levels, when it comes to services implementation and rights promotion. To ensure young persons with disabilities fully enjoy their human rights, states must not only eliminate discriminatory laws and regulations and guarantee equality as a matter of law but also pay attention to the distinct needs of young persons with disabilities within laws, policies, and programmes. This means keeping young persons with disabilities’ distinct needs in mind when drafting legislation and designing concrete interventions to make sure no one is left behind, both in theory and practice. States must act to eliminate stigma, prejudice, and discrimination against young persons with disabilities through awareness raising, training, and other initiatives that include all society actors, from young persons with disabilities and their families through to policymakers, service providers, and the broader public. In doing so, states can help reshape social interactions in the home, shift harmful social norms within the communities, foster the development of laws and policies, and remove barriers to access to services. The study contributes to the nascent body of evidence documenting both barriers as well as good practices regarding SRHR and GBV prevention and response amongst young persons with disabilities. The findings of the global study stem from an in-depth document review, four field visits, and hundreds of interviews, focus group discussions, and survey responses from a wide array of stakeholders, without whom the study would not have been possible. We would like to especially thank UNFPA staff from the Gender, Human Rights, and Culture Branch who supported the study, co-authors Megan McCloskey and Stephen Meyers from the University of Washington’s Department of Law, Societies & Justice and the Jackson School of International Studies as well as Valerie Karr of the University of Massachusetts Boston who joined Amy Weiss of IMC USA in this endeavour. The acquisition of ISG enhances IMC’s presence in the US and our monitoring and evaluation services. 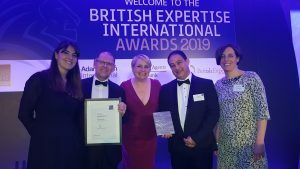 IMC Worldwide is delighted to be recognised at the 2019 British Expertise Awards for the Rural Access Programme in Nepal. In this article, the Prosperity Fund Team at IMC Worldwide sets out the pivotal importance of addressing environmental issues through social capital and stakeholder engagement.